Île de South Padre Paradise - permis de radiotélévision de l'île de South Padre # 2018-633164. Les anciens clients ont particulièrement apprécié: notre emplacement; des lits confortables (lits king dans les deux chambres); . 1100 pieds carrés de confort spacieuse, décorée avec goût; cuisine bien équipée; stockage généreux (de garde-robes); un accès pratique à la plage; la proximité des restaurants et des attractions de l'île Premier (c.-à- Louis ', Laguna Bob's, Tequila Sunset, Marlin peint sur la baie et Boomerang Billy sur la plage). Plus élevé que la moyenne plafonds améliorer la sensation d'espace. Cette maison appartenait à l'origine à l'un des premiers développeurs de South Padre Island. Il a été déplacé de la plage et mis en place sur pilotis en blocs de béton. Nous avons ensuite ajouté l'appartement en bas. Propriétaires se réservent le haut pour notre propre usage. La gestion du propriétaire élimine les frais de gestion coûteuses, aboutissant à des taux compétitifs. I gave a 3 star rating as for me to give a 4 this property would have to be completely without any issues. For me to give a 5 rating, it would have to be over the top with amenities and extremely immaculate. PROS: Front door parking, a long porch with 4 plastic chairs, an outside shower and pegs to hold your wet items. Extremely easy access to the beach. This home is nicely decorated and the front living area is welcoming. The TV has cable/direct with many channels. The kitchen is pretty much fully equipped. The floors when you first walk in are like stone tiles, they run throughout the front living space and the bathrooms. Both of the bedrooms are large and have king beds, dressers, night stands and large closets. Fans and lights are all over the home, the A/C works great! The bathrooms are adequately sized. They are stocked with bath towels and wash cloths, however, ask for more hand/face towels as there was only one in guest and two in master, I used a kitchen dish towel when I needed a replacement. CONS: There are maintenance and cleanliness issues that do need to be addressed. Front living space: Some blinds cannot be opened except manually on each slat, as the plastic turn wand is missing and some of the cords do not open and close. The guest bathroom: There are some holes on the bottom by the side of the cabinet and the shower stall and what looks like black mold and on the ceiling over the shower stall. it looks like water has seeped in and the wallpaper has separated exposing this problem. The wallpaper is starting to curl and separate slightly throughout. The guest bedroom: Carpeting does not feel clean, I bought everyone flip flops to wear around the house. The comforter (which is big and heavy) is being used as a blanket as there are none to be found. I don’t know if this is laundered every time someone stays, as I know the washer dryer cannot accommodate the size. The bed was very uncomfortable as it is very soft and does not have much support (If you have back issues this bed will not be suitable for you). Master Bedroom: Sames as guest bedroom (carpet, soft bed, etc.) there are stains on the inside of the lamps and needs replacing. The bathroom has stains on the ceiling above the tub/shower, the toilet seat is old and worn. Items were left from previous guests (pink razor above tub in corner and used soap. It needs new paint and wallpaper. Overall: Most people will like this place, I like 5* treatment I will not return. I appreciate your detailed review of our place. Most of these issues were already on our to-do list for our off season, and we have used your review as a "punch list" as we work through them. The entire place has now been re-painted with crisp white woodwork and a lovely teal for the walls. All the blinds have been repaired or replaced, lamp shades replaced, and carpet and tile professionally cleaned. I was surprised that you did not have enough towels - extras are on the shelf in master bath and in linen cupboard above the toilet in the hall bathroom. There is also a blanket on top shelf in master closet. I was also surprised with your comments about the beds. We have had renters who wanted to buy one of those beds! But, I do understand that everyone's impression of beds is different. Check out our updated photos! Thank you for all your positive comments also. Perfect rental for small family. Very clean and close to beach access. Fully stocked kitchen along with close proximity to gravity park and restaurants made our stay enjoyable. Owners answered our questions promptly. Will definitely stay here again..
We had such a great time. The location was perfect, walking distance to the beach, restaurants, shopping. The house was perfect just right for a family of four or two couples. It was very quite and peaceful not a lot of traffic. The owners are very easy to work with, we were going to get to SP early so check with them to see we could get in earlier than 4. With in know time see messaged me back said that we could get in what ever time we wanted that because no one was staying there before us. Which was very nice. Could not ask for a better place to stay. Will stay there again. And will high recommend it to other people. Thanks so much! We do try to be flexible with check in and check out times, as we remember how much we appreciated that when we were renters rather than owners! We love knowing people have enjoyed our place as well as our great location. We will look forward to seeing you in the future and certainly appreciate your recommendation! 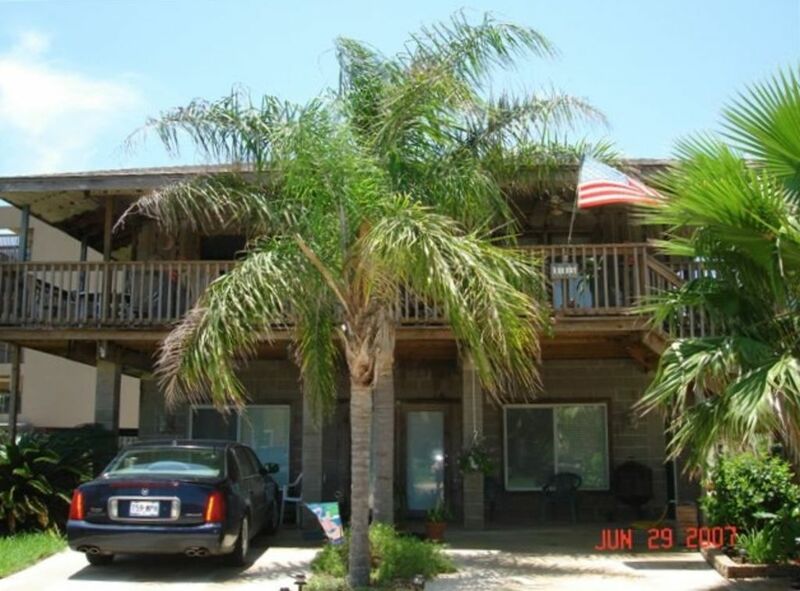 nice well decorated and close to beach! very comfortable beds and great decor for a super beach holiday. kitchen is well appointed with everything you need. thanks for a great stay. Perfect and beyond our expectations. My wife has done so much research to avoid disappointment and a ruined vacation. Once we learned that the owner lives upstairs, we then decided to rent it. Lucy, the owner, responded and answered all our questions. The house in not connected to any other buildings, which provides a private, calm, and peaceful environment: zero disturbance. The inside is spacious, beautiful, and very clean (and more). It is a few minutes walk to the beach. And how wonderful to have your own parking spot! The owners made us feel like a welcomed family and provided all kind of information about the activities and restaurants in the Island. All we had to do was have fun. Choosing this property was the perfect decision, and living in it was beyond our expectations. For our family, this is the place to live, and we are coming back. Thank you so much Lucy and Buzz. Location was great!!!! The owners were very friendly and were willing to work with us when we had to change our vacation plans. Will definitely stay again! So glad you enjoyed your stay, and look forward to seeing you again! Notre propriété est à environ un demi-bloc de la plage et un bloc et demi à la «Entertainment District 'sur la baie. Le divertissement disponibles comprend Gravity Park, golf miniature, des karts, et plusieurs bars et restaurants. Les couchers de soleil sont glorieux du côté de la baie, et feu d'artifice d'été (le week-end du Memorial Day à Labor Day week-end) peuvent être vus à partir de la fin de notre allée tous les jeudis et vendredis soirs à 09h15 sur la baie. Divertissement disponibles à partir de divers endroits comprend Schlitterbahn Water Park, dauphins et Eco tours, équitation, parachute ascensionnel, jet ski, des tortues de mer, Inc., le Centre d'observation des oiseaux en nommer quelques-uns. Ou, de nombreux visiteurs choisissent de simplement profiter de la belle plage et ensuite vous détendre dans votre salon spacieux. Rentals less than 30 days must be charged 17% hotel occupancy tax.